In a blender, add the chopped green coriander and little bit of water and make into a smooth paste. In a mixing bowl, add the green coriander paste, green chilli paste, cumin powder, salt and Canola oil and mix well to make the marinade. 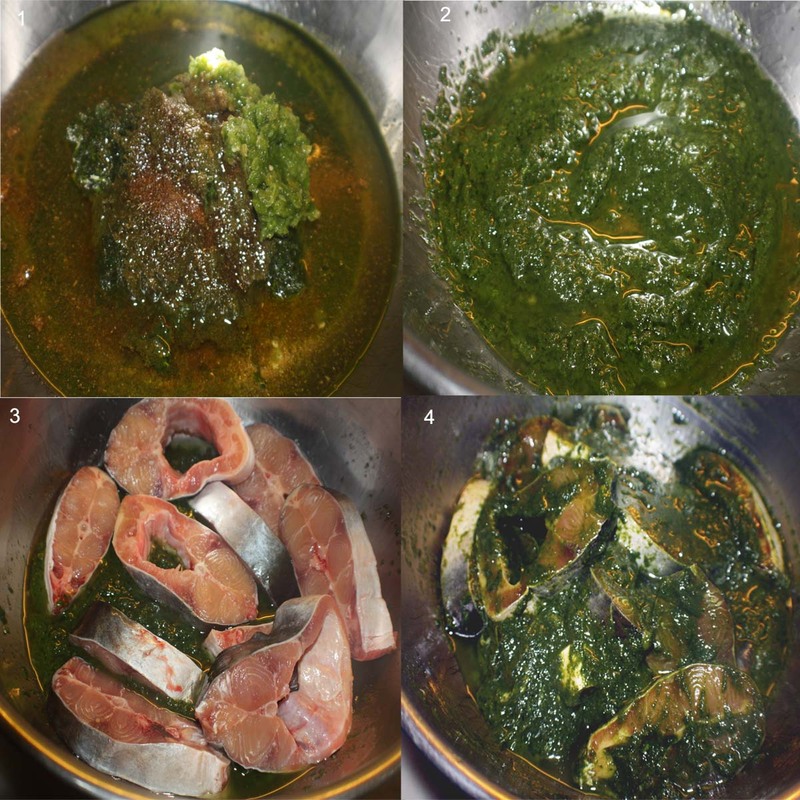 Take a non-stick pan ( do not try this recipe with a normal pan otherwise the pieces will get stuck to the pan and will break easily as the fish meat is very tender) and place the fish pieces without overlapping. Pour the extra coriander paste over the fish pieces. Heat the pan with the fish pieces. Cover the pan and cook for 10 – 12 mins on medium heat. The steam will help to cook the fish. Then remove the cover and cook the fish till the oil starts separating. 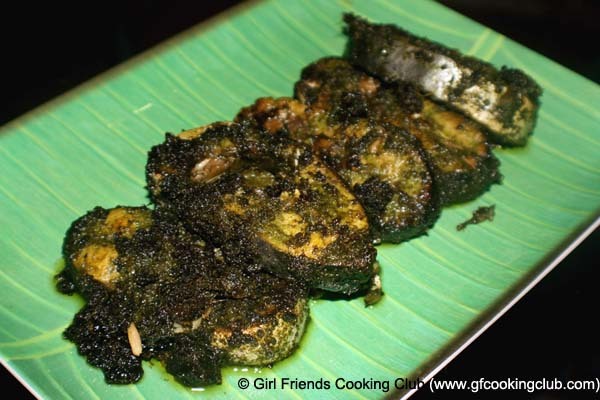 During this time, gently flip the fish pieces so that the green masala gets cooked on both sides. NOTE : One can also make this fish in the oven. After the fish pieces are marinated, take a silver foil and place all the fish pieces and the green paste on top. Seal the foil and bake the fish pieces in your oven for 20 mins on 190 degrees celcius.The fish will be cooked when it flakes easily and it is no longer translucent. 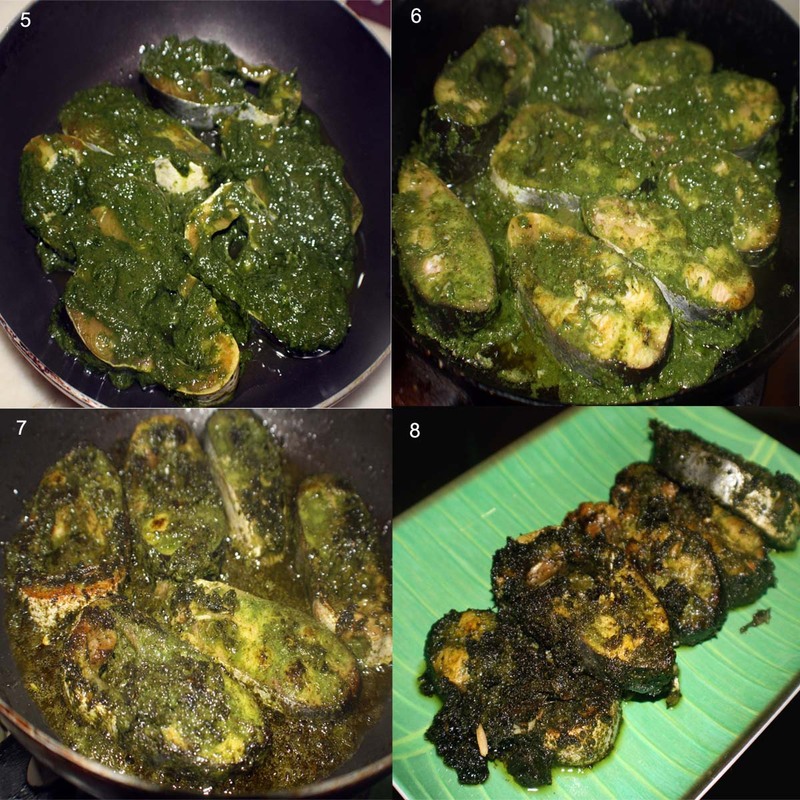 This entry was posted in All Recipes, Fish, Grand Ma's Recipes and tagged Green Coriander Fish by Kamakshi. Bookmark the permalink.